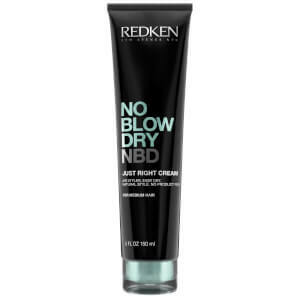 Give day-old hair a boost with the Redken Pillow Proof Blow Dry 2 Day Extender in Clear; an oil absorbing dry shampoo to instantly refresh and rejuvenate, without leaving visible white patches. The lightweight, powder-based spray helps to extend the life of your blow dry, creating full-bodied movement and soft matte texture. Perfect for correcting product over-use and eliminating greasiness, or use to add workable texture and extra grip for flawless updos. A must-have product for any styling regime. Spray on hair (focusing on the roots) and brush through to distribute evenly. If needed, touch-up sections with a blow dryer, straighten or curlers. 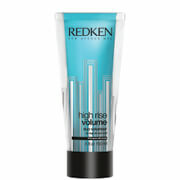 Save up to 30% on Redken and receive a FREE Redken One United Multi-Benefit Treatment (150ml) when you spend £55. Complimentary gift will be awarded at the basket. Offer valid for a limited time only, while stocks last. This is the best dry shampoo I have used, better even than the Philip Kingsley one. It is very fine and brushes out with little trace. Divine scent too! Bought up a load of different dry shampoos after my hairdresser recommended that I shouldn't wash my hair every day. So far this product has "bought" me an extra day but like all dry shampoos this seems to make my coloured hair dull and starts to look flat half way through the day. Otherwise the product is easy to use. This is a really good dry shampoo, possibly the best I've come across. No white horrible powder build up at all. Just spray and distribute. You wouldn't even know it was on your hair. Soaks up any excess oil in an instant. And smells fresh too. 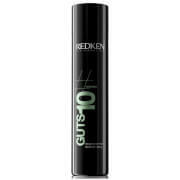 Very happy with both my Redken purchases. This is the first time I've tried any of their products and am so far highly impressed. Will certainly buy again. 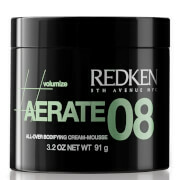 Great product, reminded me of Redken Powder Refresh 01 which was discontinued. Doesn't leave white powder on dark hair, light smell disappears after couple of minutes, hair looks fresh and more voluminous.